First, according to the actual needs of the work site, determine the installation position and installation method of the lamp, and then prepare the corresponding length of Φ8-Φ14 mm three-core cable according to the distance from the lamp to the power contact. Second, open the ballast end cover, loosen the compression nut of the ballast cable inlet, and introduce the lamp cable and power wire through the compression nut to the internal terminal of the ballast to fix the connection. Tighten the cable tie nut and tighten the ballast cover separately. 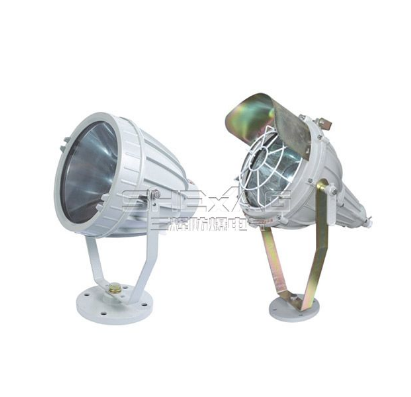 Third, according to the determined installation position and installation method, the lamp and the ballast are installed, and then the other end of the ballast input cable is connected to the 220V power supply according to the explosion-proof requirement, and the illumination can be realized. Fourth, loosen the screw at the bottom of the lamp holder, and adjust the illumination orientation by 360° rotation of the lamp holder. Loosen the screws on both sides of the lamp holder, adjust the illumination angle of the lamp head up and down according to the lighting requirements, and then tighten the screws. Fifth, when replacing the bulb, use a suitable screwdriver or other tool to insert the hole in the two convex parts on the side of the front cover, unscrew the front cover, remove the bad bulb, and replace the new one. First, when China Explosion Proof Tube Article Supplier transporting explosion-proof floodlights, the lamps should be installed in the equipped carton, and foam should be added to absorb vibration. Second, when installing and maintaining an explosion-proof floodlight, you must first disconnect the power supply. Third, when used, there will be a certain temperature rise on the surface of the lamp, which is a normal phenomenon; it should be noted that when the explosion-proof floodlight works, the center temperature of the transparent member is high and should not be touched by hand. Fourth, when replacing the bulb, the same type and power bulb should be used; if the bulb type or power is changed, the matching ballast should be replaced accordingly. Fifth, the lamps must not be turned on. Sixth, non-professionals are not allowed to install and disassemble lamps and ballasts at will.